Anyone working in marketing today knows that personalized communication leads to better response rates. But many marketers face a challenge: how to create personalized marketing campaigns when all you have to work with is a database of addresses? We picked some of our favorite geomarketing projects of the last few months to show you what’s possible with geodata. Make sure to take away some inspiration for your next campaign! 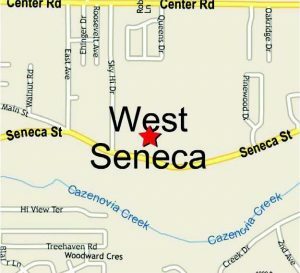 A personalized direct mail campaign that incorporated geomarketing elements increased the attendance level by 50% in the first year. In the project case study you will learn how GEOservices enable marketers to precisely target their audience to create highly-personal customer communications that not only creates higher engagement but leverages engagement rates and marketing ROI, too. 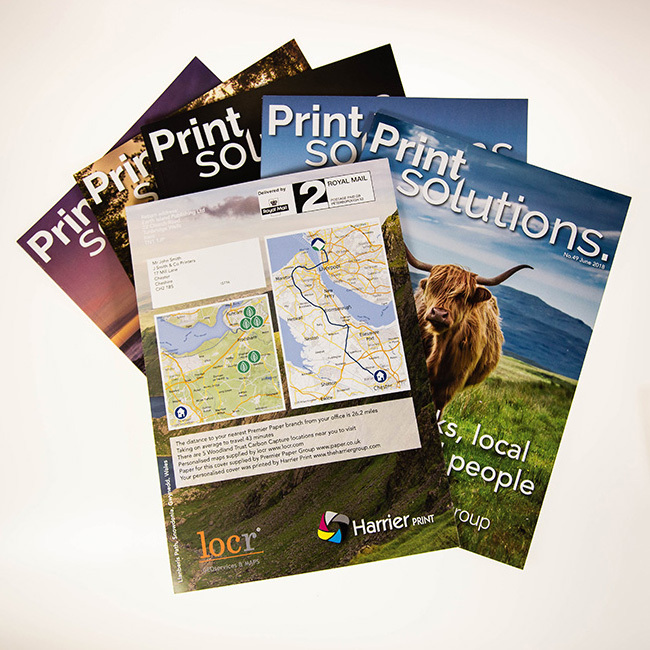 The June issue of the Print Solutions magazine was all about locality—local paper merchant, local cover images. locr’s GEOservices and personalized maps were the ideal tools to highlight locality in this issue. Learn how this one-off project not only created great engagement with Print Solutions readers but also demonstrated how companies in the printing business can highlight their unique selling proposition in a creative way in this in-depth case study. Do your customers, invitees, patients, partners or friends know where to find you when they need to? With locr’s personalized maps they will! Printed on a direct mail postcard it’s easily accessible whenever needed and doesn’t look too bad when pinned to your fridge. 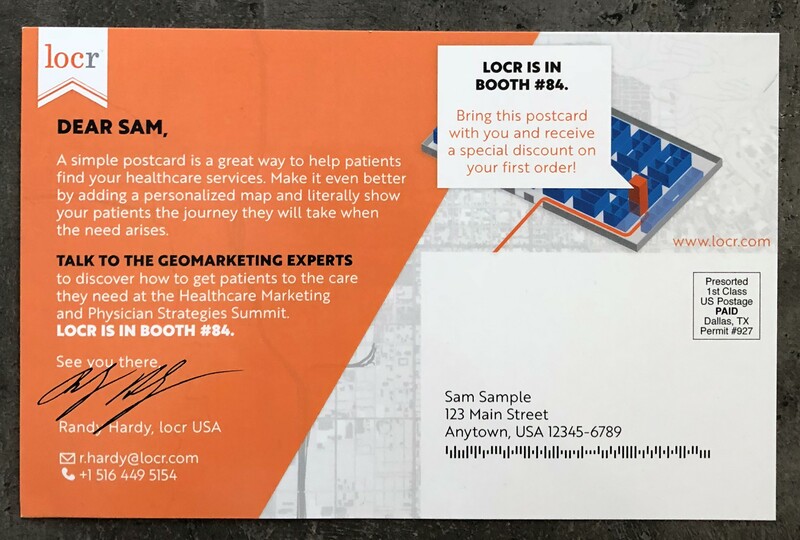 This particular direct mail piece was sent by locr to the attendees of a healthcare conference. 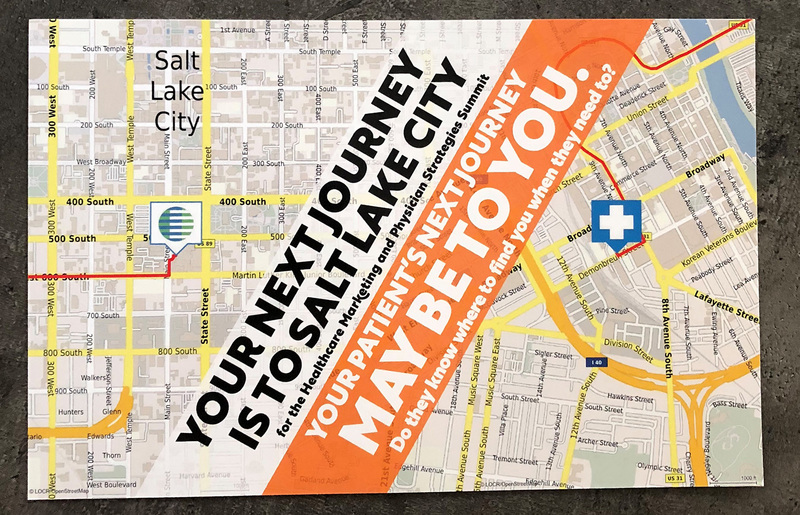 Each attendee received a personalized map showing the route from their home to the conference center. The two-part map showed the first mile and the last mile the attendee would travel. On the backside was another map highlighting the location of the locr booth at the conference venue. The locr team are frequent trade show exhibitors. And usually, when we attend an event, we bring something that adds value to it. This time we created an afterhow guide that showed the best places to eat and sleep in the beautiful city of Vienna. The capital of Austria is a vibrant and extraordinary city that, like no other, unites history and modern spirit. To help Dscoop members discover more of this gem, locr created an Aftershow Guide with all things conference attendees need to know—for their aftershow activities. Contact your local locr representative to discover how you can use the power of location for your next direct mail!